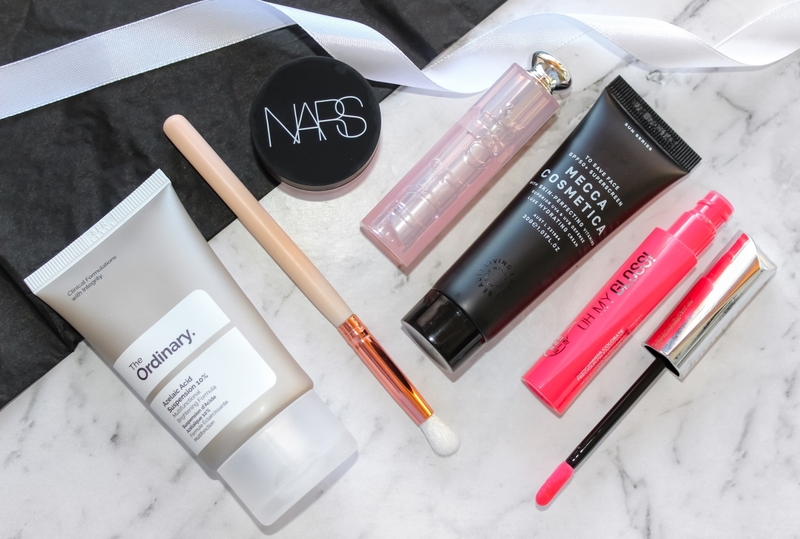 Instead of doing my July favourites, I'm bringing you a mid-year beauty favourites post (better late than never!). There have been plenty of different products I've been enjoying throughout the year thus far, but these five have not left my sight in a long while and have become a huge part of my daily skincare/makeup routine. This pricey little guy has been on my wish list for a ridiculously long time (I'm talking a year), just because I couldn't justify spending $50 for a lip balm - Dior or not. I finally caved, bought it and I have no regrets! 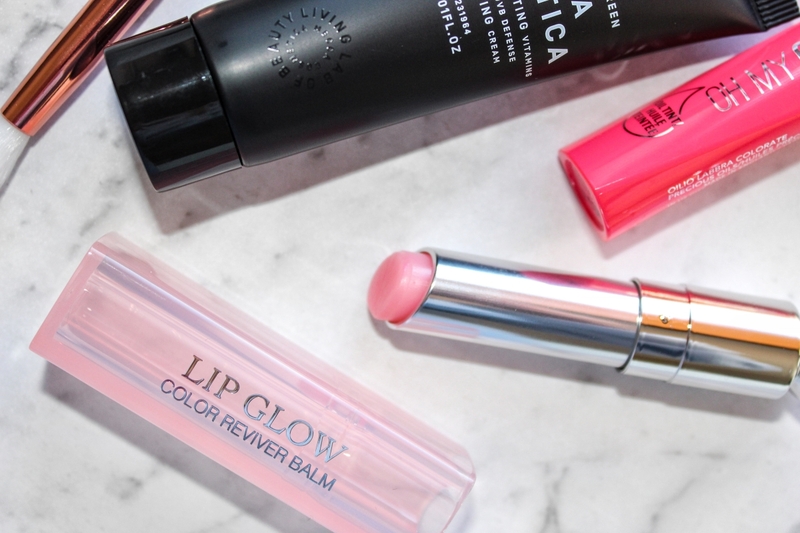 This colour awakening lip balm works to enhance and bring out the natural colour of your lips and I'm left with the prettiest pink hue that looks so flushed. 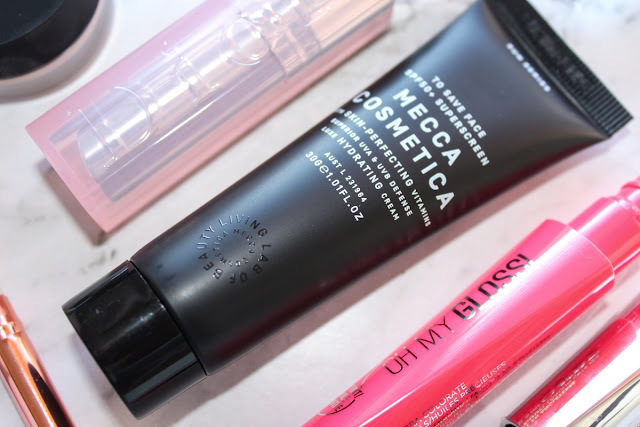 I love wearing this lip balm when I'm going for a simple, 'no makeup' makeup look and it's been getting a lot of use lately, so money well spent I say! I don't know about you guys. but I cannot stand the feel of sunscreen on my face - it's sticky, heavy and greasy which is a whole lot of nope for someone with oily skin. It has been an actual struggle to find a sunscreen with an SPF of 50+ (this pale girl NEEDS it), and without that icky residue until I came across this high performance wonder cream in a tube. It is everything I want in a sunscreen and more! Not only does it protect our largest organ of the body from UVA and UVB rays, it also contains skin loving ingredients such as vitamin e, hyaluronic acid and pomegranate extract for ultimate hydration. 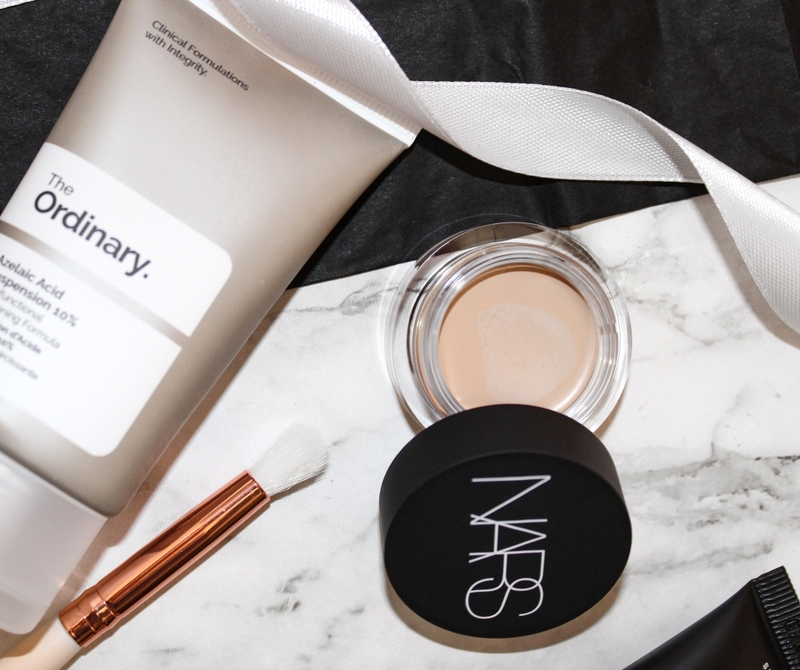 The best thing of all is that it has a matte finish, doesn't leave that awful white cast and it's non-oily (hallelujah!). A definite staple in my skincare routine and one that I'll be forever repurchasing. This sheer tint-in-oil gloss is formulated with 4 precious oils; pomegranate, coconut, abyssinian and daikon radish seed oils. I haven't been this excited about a Rimmel product since these beauties launched and I cannot get enough of them. 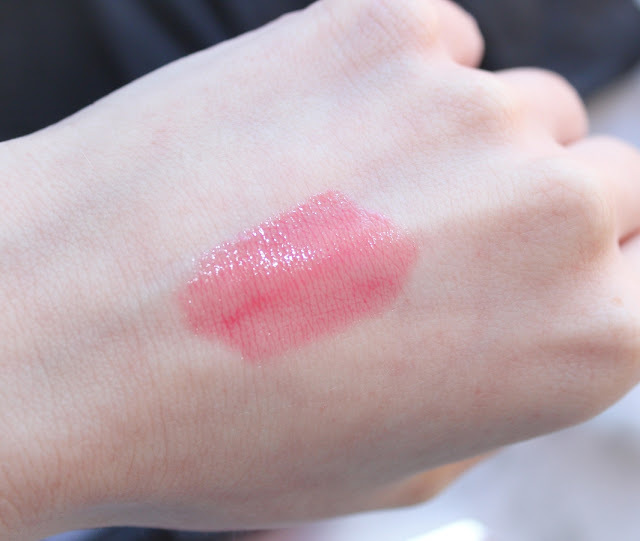 The shade I've been wearing a bunch is 'Contemporary Coral' which is a gorgeous pink-peach and it gives your lips a juicy, shiny finish like a gloss but without the heaviness or stickiness. It isn't too wet or slippery on the lips and not oily whatsoever - it's so comfortable to wear and I love how conditioning they feel. Super easy to just throw on without any fuss and I really like the sweet scent. These are honestly one of THE best products by the brand (along with their bullet lipsticks), and I sincerely hope they never discontinue them. Guys, this stuff is the cat's pyjamas and boy am I glad I discovered it! For those of you who have no clue what azelaic acid is (I had zero knowledge of it too), it is naturally found in grains and produced by the yeast that lives on normal skin. An effective antioxidant that protects the skin from free radicals, brightens the complexion, improves texture, minimises the appearance of blemishes and it also helps to reduce redness. This has such an unusual formula - it has a thick consistency but it's a mix between a cream and a gel that feels ultra lightweight once absorbed. The silicone in it completely mattifies the skin leaving it feeling smooth and it keeps my oily skin at bay like no other skincare product I have EVER used. I'll be going through this like no tomorrow and it'll become especially handy in the summertime to control my grease ball skin type. It's an absolute multitasking miracle and it is totally worth more money than it is, but I ain't complaining because it truly works and I could not be happier! Let me tell you, all the hype over this concealer is definitely real and it is no surprise that it has made it to my top 5. It's creamy yet not heavy or oily, the coverage is outstanding and it looks utterly beautiful on the skin. I use this all over my face to conceal my dark under eyes, the most stubborn blemishes, redness and it never creases. The fact that it contains hyaluronic acid as well as vitamins a, c and e is just an added bonus. This would have to be one the best concealers on the market it is just that good! I highly recommend picking this up, you will not be disappointed!